By 2035, the number of self-driving vehicles on roads worldwide is expected to grow to 21 million, according to a new report from IHS Automotive. IHS Automotive's updated numbers represent a substantial increase from previous estimates due to what it called "recent research and development by automotive OEMs, supplier and technology companies who are investing in this area." "Global sales of autonomous vehicles will reach nearly 600,000 units in 2025," Egil Juliussen, director of research at IHS Automotive, said in a statement. "Our new forecast reflects a 43% compound annual growth rate between 2025 and 2035 -- a decade of substantial growth, as driverless and self-driving cars alike are more widely adopted in all key global automotive markets." The U.S. will lead the world in the earliest deployments and adoption of autonomous vehicles, IHS said, while at the same time it will have to work through challenges posed by regulation, liability concerns and consumer acceptance. Deployment in the U.S. will begin with several thousand autonomous vehicles in 2020, with that number growing to nearly 4.5 million vehicles by 2035, according to IHS Automotive forecasts. As in many other markets, a variety of use cases and business models are expected to develop around consumer demand for personal mobility. 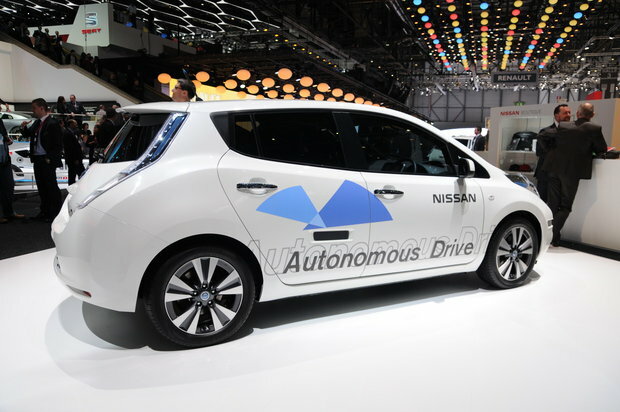 Nissan's self-driving car prototype at the 2014 Geneva Motor Show. While the U.S. will lead in early deployments, adoption in China is expected grow faster than in any other nation, with 5.7 million cars and trucks being equipped with some level of autonomy by 2035. "The sheer volume of vehicles expected to be sold there, as well as consumer demand for new technologies, will drive growth, with more upside possible as regulators assess the potential of autonomous mobility to address safety and environmental concerns," the report stated. Autonomous vehicle technology will also face challenges related to software reliability and cybersecurity, "though both of these are showing improvements as technology evolves and the industry recognizes the threat," IHS said. "Future mobility will connect and combine many different modes and technologies, and autonomous vehicles will play a central role," IHS Automotive analyst Jeremy Carlson said in a statement. "IHS expects entirely new vehicle segments to be created, in addition to traditional vehicles adding autonomous capabilities. Consumers gain new choices in personal mobility to complement mass transit, and these new choices will increasingly use battery electric and other efficient means of propulsion." 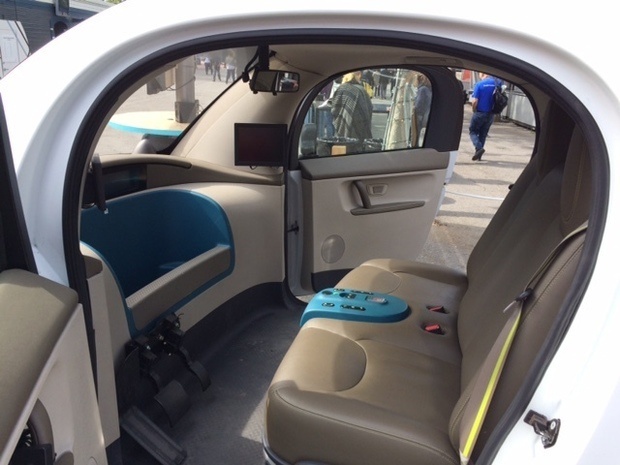 An interior view of Google's self-driving car, which has no steering wheel. 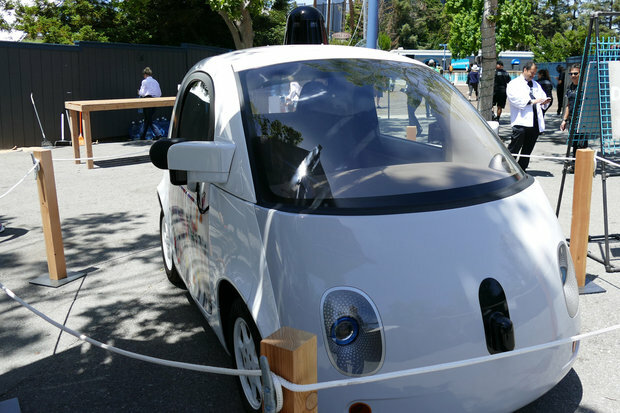 In addition, the implementation of local and federal guidelines and regulatory standards, as well as a legal framework for self-driving cars, continue to prove challenging, IHS said. Various states and regions have taken appropriate measures to begin to develop these frameworks, while others are still crafting their approach. While the U.S. federal government has released "guidelines" for policies on self-driving vehicles, laws governing their testing and sales continue to be a patchwork of state regulations. In February, backers of fully autonomous vehicles won a major victory when the National Highway Traffic Safety Administration sent a letter to Google explaining that the artificial intelligence used to pilot Google's autonomous vehicle could considered the "driver" for some (but not all) regulatory purposes. Daimler unveiled the new autonomous 18-wheeler last year during a ceremony at the Hoover Dam. 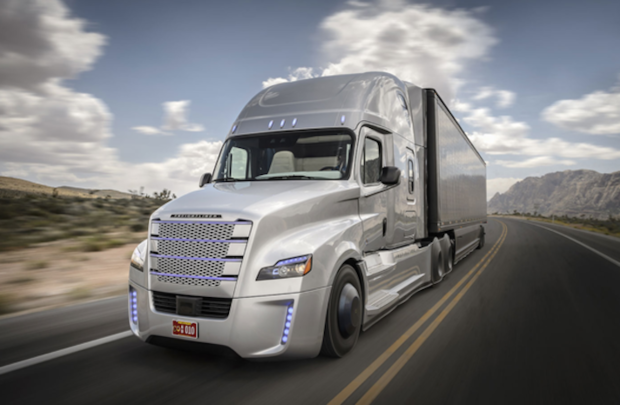 The Freightliner Inspiration Truck, a concept truck, underwent extensive testing, Daimler said, before the Nevada DMV let it operate on public roads in the state. Last year, the truck was driven more than 10,000 miles during a test in Germany. Also in February, President Obama's federal budget proposal included a 10-year, $3.9 billion investment for advancing autonomous vehicle technology, including large deployment pilots in communities around the country. "Increasing competition from the high-tech and other industries is accelerating the auto industry's autonomous software and cybersecurity development efforts," Carlson said. "Those who don't adjust to a changing world will unfortunately be left behind, or will at least face a very different industry."